FOOTBALL: As Arsenal played out the final stages of a hugely significant 2-0 victory over Manchester United to propel themselves back into the Premier League top four, cries of “Tottenham Hotspur we’re coming for you” rang out around the Emirates. A 10-point gap between the north London rivals has been whittled down to one in the space of four games courtesy of defeats for Spurs against Burnley, Chelsea and Southampton. With eight games of the campaign to go, the fight for automatic Champions League qualification next season looks set to go down to the wire, with Spurs, Arsenal, Manchester United and Chelsea in desperate need of the revenue and prestige it brings for their own reasons. Only four points separate Tottenham in third and Chelsea in sixth, but the Blues also have a game in hand at home to Brighton, where victory would allow them to move level on points with Arsenal in fourth. A first domestic defeat for caretaker manager Ole Gunnar Solskjaer last Sunday has interrupted United’s momentum but they remain the form side of the chasing pack since the Norwegian took charge in mid-December – cutting the gap to the top four from 11 points down to two. 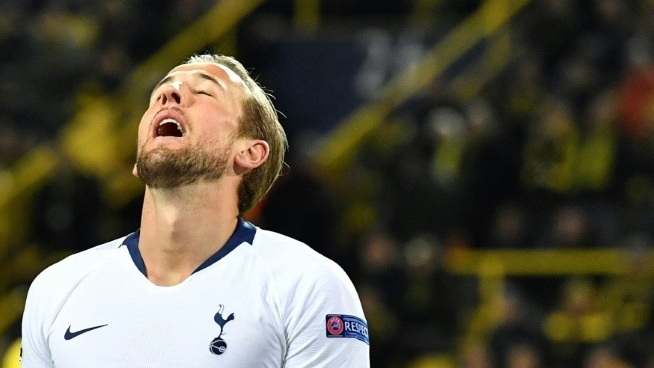 Tottenham defied World Cup fatigue, injuries to key players and coped with no new signings and a second season in their temporary home at Wembley for so long that just two weeks ago they were still being touted for an unlikely title challenge. Despite reaching the quarter-finals of the Champions League, however, it appears the effects of a long season for a small squad may finally be starting to take hold as after dominating the first 45 minutes against struggling Southampton last Saturday, Spurs imploded after the break to manager Mauricio Pochettino’s ire. “In the first half we played like the quarter-finals or the best eight teams in Europe, but in the second half we need to watch the game, analyse, and be critical of ourselves,” said the Argentine, hinting he needs to be backed with funds to improve his squad in the summer, should he remain in charge. Yet, with the club’s new stadium finally ready, at a reported cost of £1 billion (B41.5 billion), the level of investment in the squad will be highly dependent on securing Champions League cash. Pochettino’s men do have the slight relief of a three-week break now to regroup, but their next league game is a daunting one away to Liverpool and they also travel to title-chasing Manchester City next month. Arsenal have felt the brunt of losing Champions League revenue for the past two seasons after 17 consecutive years in Europe’s premier club competition and Unai Emery’s admission in the January transfer window that the Gunners could not afford permanent signings highlighted the importance of not missing out three years in a row. For Chelsea and United, the outcome of the top-four race could determine who is in charge next season. Maurizio Sarri has endured a stormy first campaign at Stamford Bridge, and Champions League qualification either through the league or by winning the Europa League is seen as the minimum required for the Italian to be handed a second season. Solskjaer is expected to be given the United job on a permanent basis thanks to his incredible record since taking caretaker charge, particularly after eliminating Paris Saint-Germain to reach the Champions League quarter-finals. However, a failure to round off his run with a top-four finish may give the club’s hierarchy a difficult decision to make, especially if Pochettino can be lured from Tottenham.